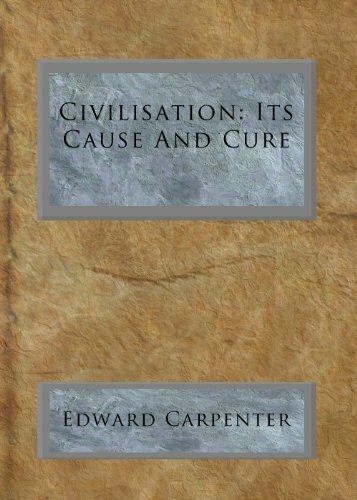 As a philosopher Carpenter is particularly known for his publication of Civilisation, Its Cause and Cure in which he proposes that civilisation is a form of disease that human societies pass through. Civilisations, he says, rarely last more than a thousand years before collapsing, and no society has ever passed through civilisation successfully. His 'cure' is a closer association with the land and greater development of our inner nature. The author left out the account of Spinoza's life and letters, and to confined the work to an examination of his philosophical system. This writing attempts to deal with that philosophy from a point of view different from that of other books.